The play is healthy. For kids, it’s their time to relax. This is God’s way of making their bodies strong. At DecorativeLettering we have wall words suitable for your kid’s playroom. As shown in the photo the playroom has lots of floor and storage space. The wall is no longer bare. Black wall lettering and art are on it and it looks great! The curve style and color tie in well with all the decor in the room. 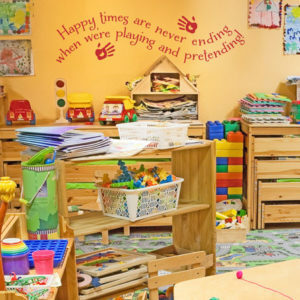 Your kids will love playing in this room! The wall words come in various colors. This means that you will be able to find something that will blend in well with your decor. This is a well-lit room: the wall letters are matte so that they are easy to see and read without any glare problems. They also come pre spaced to make the application process easy. Ordering is simple on our user-friendly web site. Select your quote choice, size, color. Use the pre viewer to confirm the selection and then submit. Our designers will take it from there. You will end up with wall letters that you and the kids will enjoy for a long time. 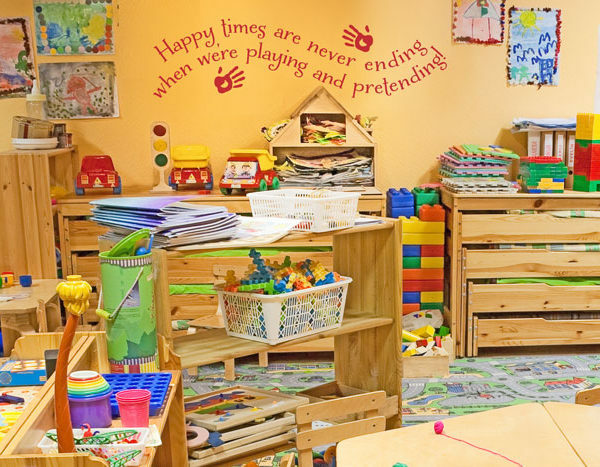 Are you wondering how to turn those drab walls in the playroom into interesting works of art? Use DecorativeLettering wall decals. They are a fun way of decorating. 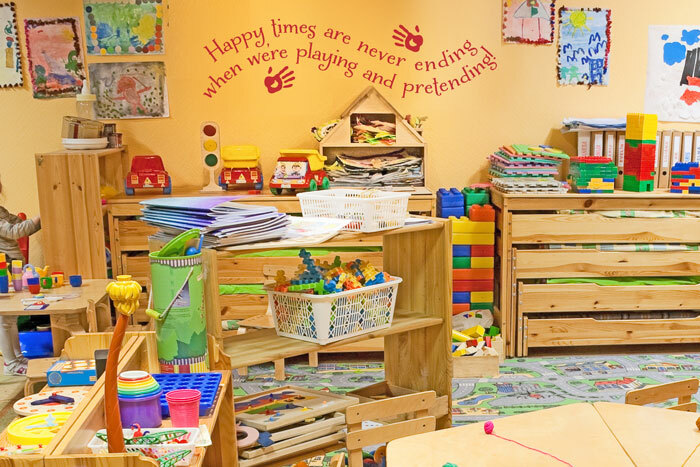 Do call or email: we’d love to help you have a fun play area for your kids!